“Speed Bumps, Potholes, and Road Blocks on the North American Super Highway.” The SMU Law Review. “Shortcut to U.S. Economic Competitiveness: A Seamless North American Market,” The Council on Foreign Relations (March 2013). Edward Alden responds to Pastor’s article “Shortcut to U.S. Economic Competitiveness” with “North America: Big Trade Gains Close to Home” The Council on Foreign Relations (March 2013). “A Vision and a Blueprint for North America,” Berkeley Review of Latin American Studies (Spring 2012). “North America or Asia? The 21st Century Choice for the United States,” Perspectives on the Americas (University of Miami Center for Hemispheric Policy, January 23, 2012). “Mexican’s Snap Up ‘Made in the USA’: Burgeoning Middle Class Drives a Roaring Trade Across the Border.” The Washington Post (September 10,2012). “What Happened to the North American Idea?” in Americas Quarterly (Spring 2011). “Whither North America?” in FOCALPoint: Canada’s Spotlight on the Americas, Vol. 10, No. 1 (February 2011). “The Future of North America: Replacing a Bad Neighbor Policy,” Foreign Affairs, Vol. 87, No. 4 (July/August 2008). Also published in Spanish in Foreign Affairs in Español. “The Solution to North America’s Triple Problem: The Case for a North American Investment Fund,” Norteamérica, January 2008. “North America’s Second Decade,” Foreign Affairs, vol. 83, No. 1 (January/February 2004). Also published in Spanish as “La Segunda Década de América del Norte,” Foreign Affairs En Español, Vol. 4, No. 1 (Enero/Marzo 2004). “North America in 2020: Two Visions,” in Canada Among Nations, 20101: Canada and Mexico: Building Bridges to the Future, edited by Alex Bugiliskis and Andres Rozental (Montreal and Kingston: McGill-Queen’s University Press, 2012). “North America: A Partial Eclipse and a Future Community,” in Imtiaz Hussain, ed., North American Political Economy: Forever Bonded? (Mexico City: Universidad Iberoamerica, 2008). “El Modelo de America del Norte en un Mundo de Tres Regiones” (The North American Model in a World of Three Regions), in Joaquin Roy, Alejandro Channona, and Robert Dominguez, La Union Europea y el Tlacan: Integracion Regional Comparada y Relaciones Mutuas (Miami: University of Miami Press, 2005). 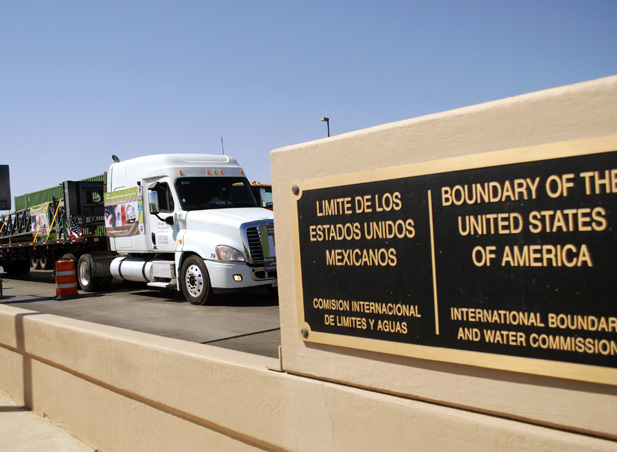 “NAFTA is Not Enough: Steps Toward a North American Community,” in Robert Litan and Peter Hakim,eds., The Future of North American Integration Beyond NAFTA (Washington, D.C.: Brookings Institution Press, 2002).